ArresterWorks is an International Consulting Firm focused on assisting others in improving power system reliability through design, production and application of arresters to mitigate the effect of lightning and other transients. 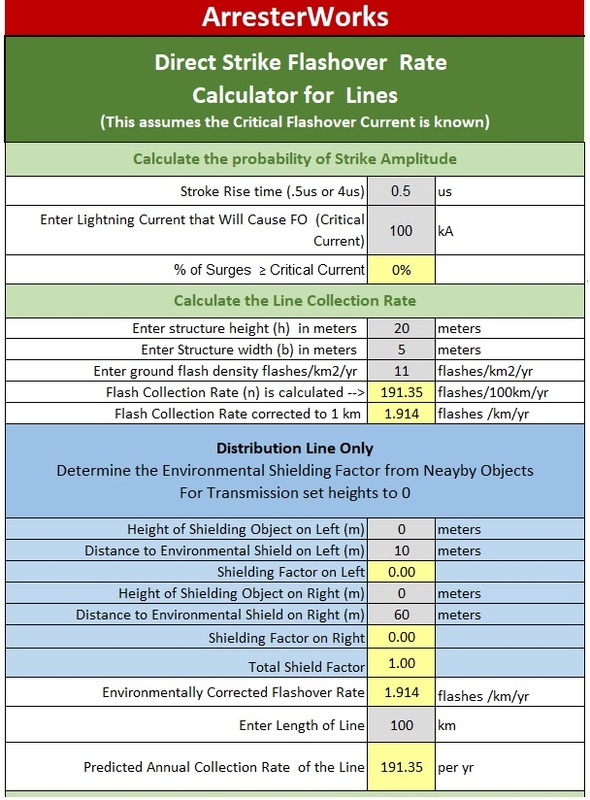 Calculate the lightning caused outage rate of a transmission line located in Oklahoma City that is 10km long. It has two shield wires separated by 6 meters, the shield wires are 30m from earth. It has been previously determined that a first stroke of a lightning flash with an amplitude of 47kA will cause a backflash on phase 1. 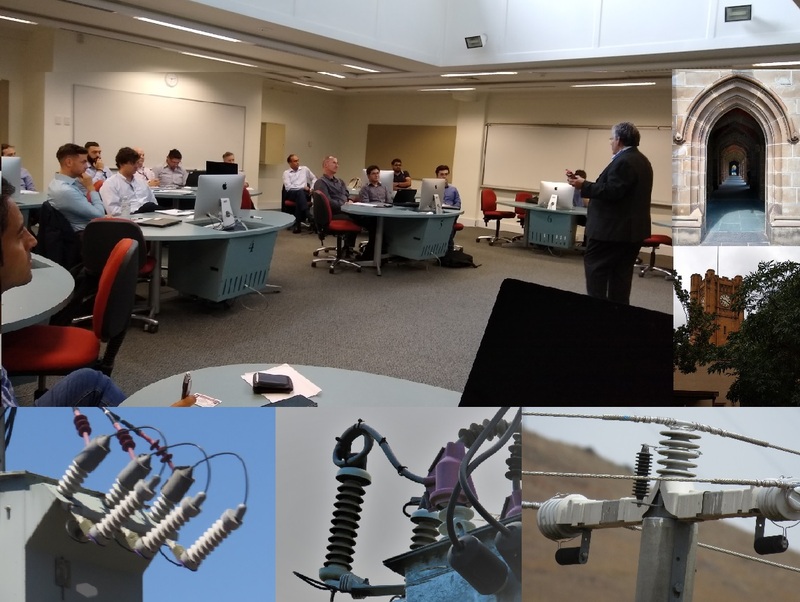 On a recent trip to Southeastern Australia, ArresterWorks was pleased to present a T&D surge protection seminar at the University of Melbourne, Old Arts Building, Parkville VIC 3052, Australia. 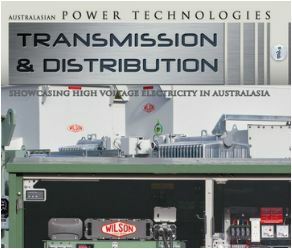 The seminar was sponsored by the IEEE Power Engineer Society, Victoria Section, with attendees from several area utilities and consultancies. Surge protection of power systems in Australia requires extra precautions when it comes to the use of arresters due to the increased risks of brush and forest fires. For this reason, ArresterWorks was interested in observing how arresters were utilized in the cities versus the country as well as the different types of arresters used and how they were applied. It was a very informative trip and ArresterWorks is grateful to everyone who helped in this learning experience. 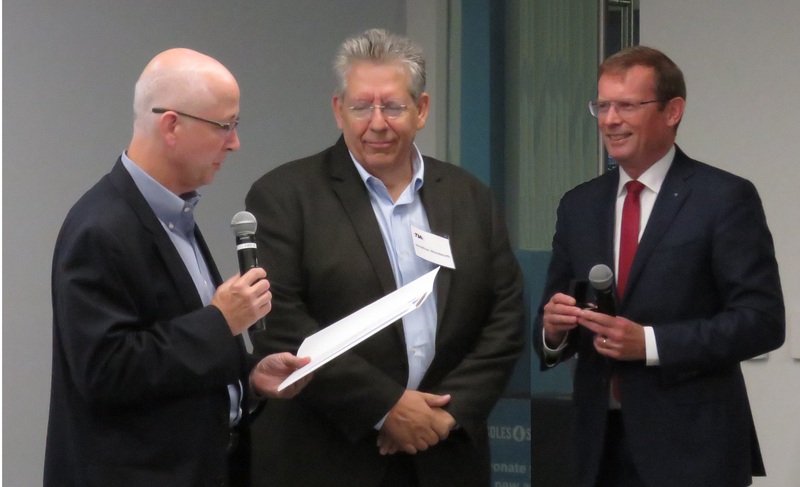 On September 13th of this year, ArresterWorks' Jonathan Woodworth received IEC's 1906 Award at a ceremony in Arlington, Va. Jonathan received the award for his role in TC37 working group MT4 leading the development of IEC standard 60099-4 Test Rationale and spearheading the use of monthly virtual meetings. 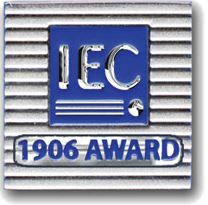 Created in 2004 by the IEC Executive Committee (ExCo), the 1906 Award commemorates the IEC's year of foundation and honors IEC experts around the world whose work is fundamental to the IEC. Sometime, the most economical way to train a number of your people is to bring the trainer to your facility. 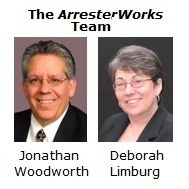 Recognizing this, ArresterWorks has created training sessions that are intended to be presented to a live class room. Each of these sessions can be tailored to meet the specific needs of the customer, covering only the material that is pertinent to the customer’s needs. 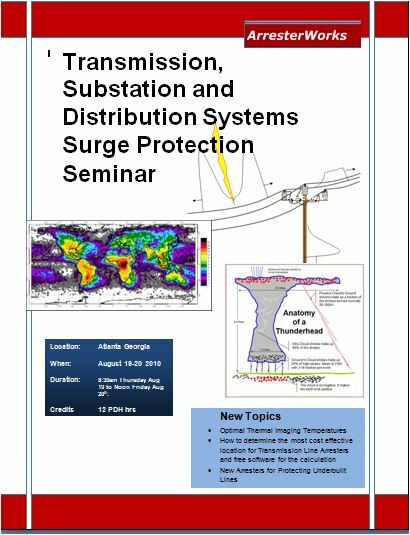 This online seminar, being offered by ArresterWorks, is designed for students who are familiar with transient software and are looking to expand their knowledge on the concepts of modeling arresters and the necessary principles of an insulation coordination study for surge protection. ATP and ATPDraw will be used for the course discussions, however participants may use the software they have available and are familiar with. Without question, the heart of surge arrester testing is the Marx generator. This high impulse current or high impulse voltage generator is used to simulate lightning for all the major impulse tests required by standards. Designed by Erwin Marx in Hermsdorf Germany in 1924, it has changed very little in 94 years. The Marx generator is able to produce such high currents and voltages by charging relatively low voltage capacitors in parallel and then discharging them in series. Today, all these years later, every high impulse voltage and current laboratory owns and operates one or two of these generators. 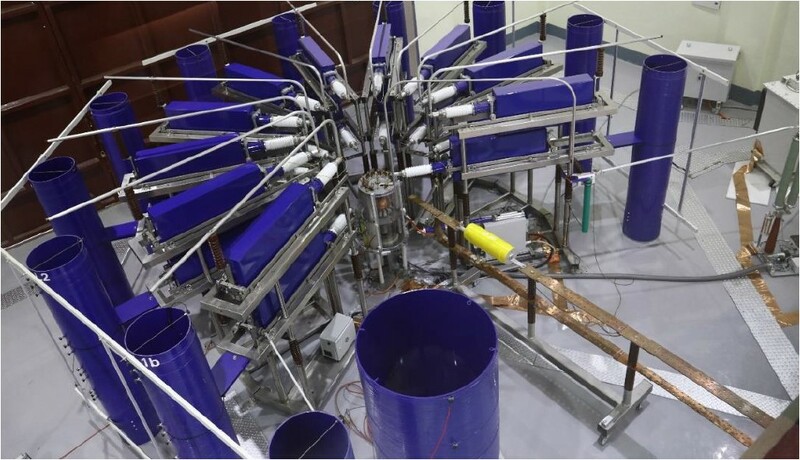 The generator shown in the photo above is an example of a high current Marx generator and is from the Central Power Research Institute (CPRI) of India which has recently upgraded their generator to obtain higher currents as well as their data acquisition system. 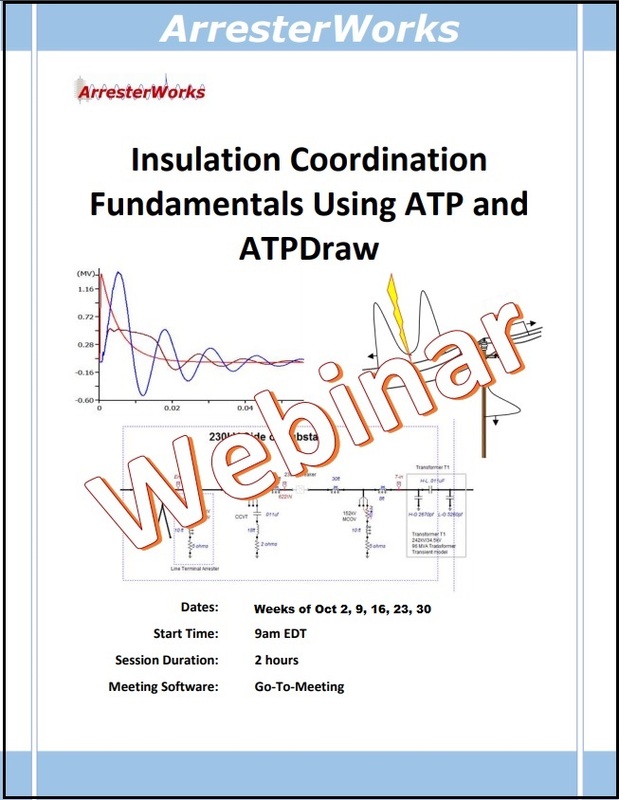 This seminar covers the fundamentals of insulation coordination as well as instruction on how to run transient simulations. The seminar will be presented over a five-week period in two hour sessions. This schedule is intended to allow time in between sessions to complete the provided exercises that will test the individuals understanding of the covered information. •	Attendees should have working ATP, ATPDraw and XY-Plot packages installed on their computers. Or your own transient software package to run simulations on. •	Fast Internet line that can handle video conferencing. •	2-3hour time slots once a week for 5 weeks. •	Time to do homework between sessions. We have long felt that the externally gapped arrester is the most beneficial arrester to use on overhead transmission lines. In fact, we have published a number of papers supporting this idea. 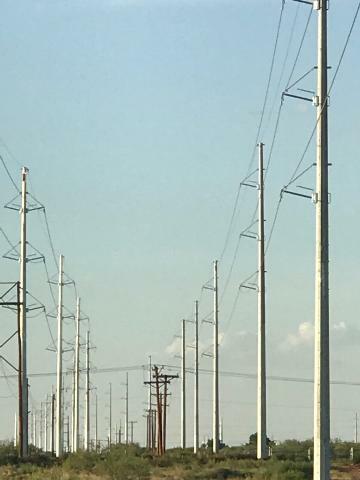 We were very pleased when we recently received these photos of ELGAs that have been installed on two lines just west of Andrews, Texas. We are interested in learning who designed or owns this installation, as well as who is the manufacturer of this arrester. If anyone has any information, please send us an email jonathan.woodworth@ArresterWorks.com. or give us a call (+1.716.307.2431). At the request of IEEE, ArresterWorks presented a one day Surge Protection Seminar at the 2017 IEEE general meeting in Chicago, Illinois. On Tuesday, March 28, 2017 ArresterWorks was honored to presented to 65 plus graduate students of the FSU electrical engineering department. Jonathan Woodworth lectured on the effects of lightning surges on power systems and methods of mitigating the damage to power equipment with arresters. Jonathan was invited to speak at FSU by Dr. Thomas Bellarmine, Ph.D., P.E. as part of the IEEE Power and Energy Distinguished Lecturer Program. 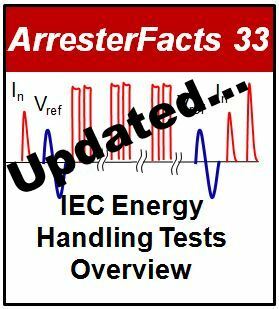 ArresterFact 033 r3 is an update to the original and now covers the changes as they were released in the 2014 Edition 3.0 of IEC 60099-4. There were many improvements in this edition over edition 2.0 from 2009. 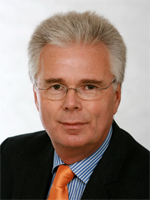 The most significant change however was the introduction of a new energy rating system. The Long Duration (LD) discharge classes 1-5 are now history and the new Qrs and Wth tests are used for the energy rating of Station and Distribution Arresters. 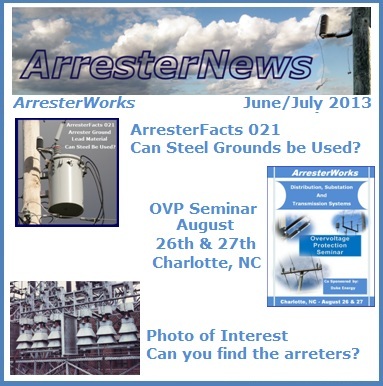 This is the third edition of this ArresterFacts and is now up to date with what is published in the standard. .
ArresterWorks' surge protection seminar is an in-depth course covering the different types of arresters, their design fundamentals and their applications to protect power systems. 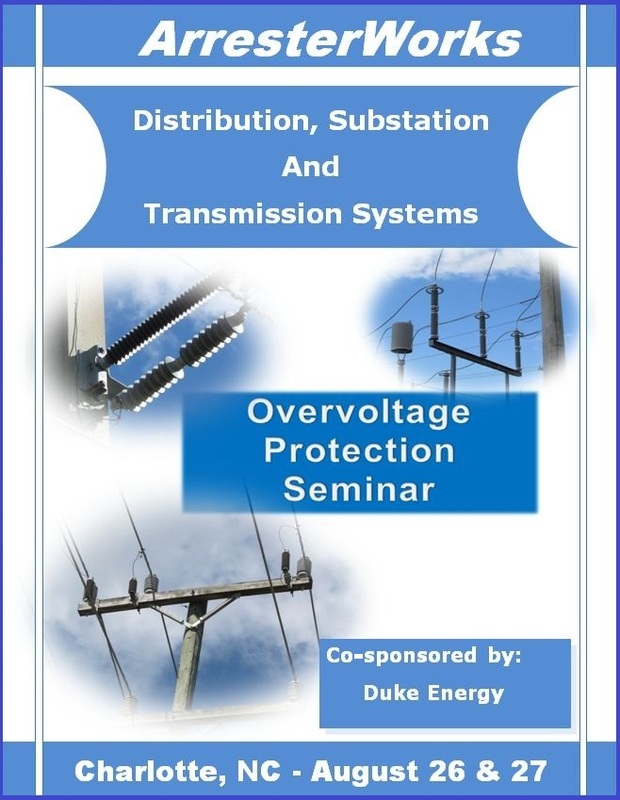 This course is designed to help all those who deal with surge protection and/or system reliability. Are you sure your substation is protected from what might be coming down the line. The assets in a substation can be worth millions. The surge protection of these assets is critical to maintaining a healthy power delivery system. One way to ensure that all the necessary protection is in place is to have an insulation coordination study of your substation. 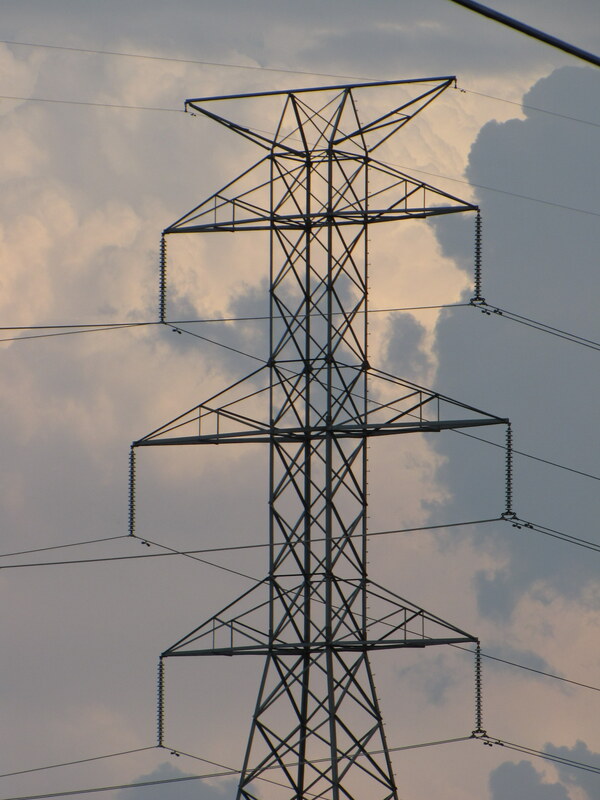 ArresterWorks routinely does studies for utilities, wind farms, PV farms, transformer manufactures and EPC firms. 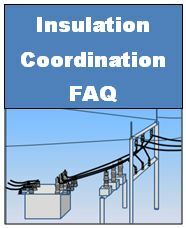 Visit our FAQ page on insulation coordination studies for more information . Look for our ArresterFacts on this topic coming in May. In the mean time we invite you to call or email us with any additional questions you might have or if we can be of service. 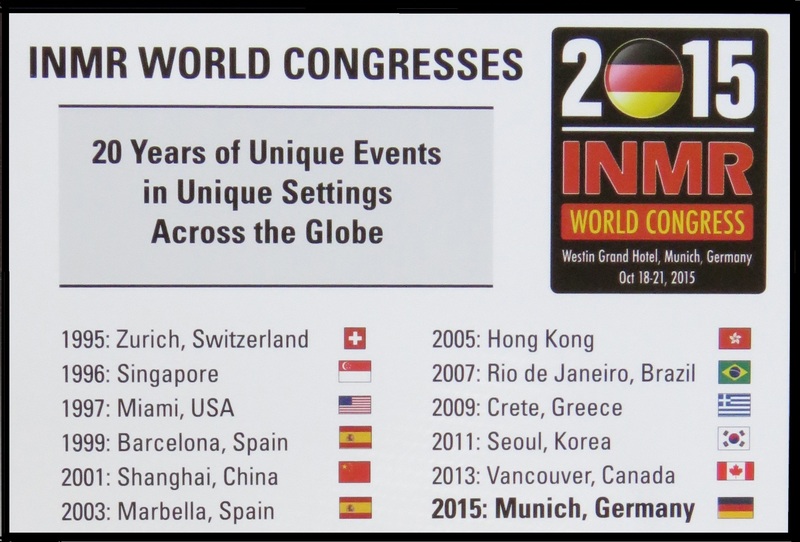 On October 18 – 21, over 600 attendees from 60 countries came to Munich Germany, for the 2015 INMR World Congress. 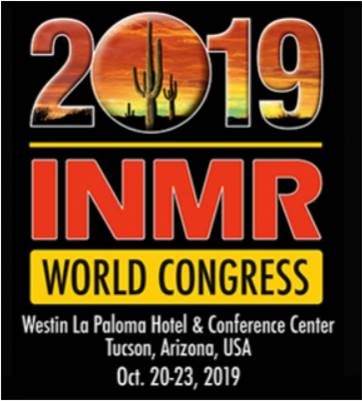 This year’s congress marked 20 years of INMR bringing the world together for discussions on insulator, arresters, bushings, and cable accessories. 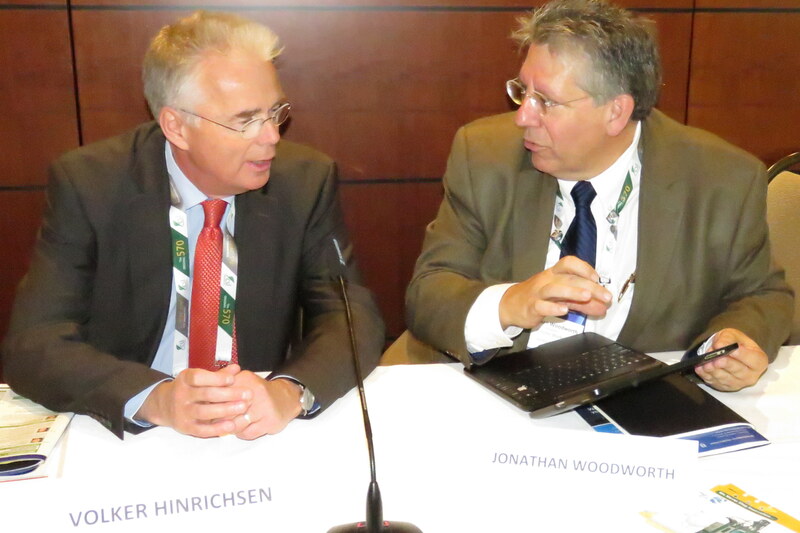 The arrester session, a relatively new addition to the congress, was co-chaired by Jonathan Woodworth of ArresterWorks and Professor Hinrichsen of TU Darmstadt. The session consisted of eighteen papers covering topics of importance to both the manufacturers and the users of surge protective devices. Talks included discussion on arrester monitoring devices, IEC standards, voltage distribution along an arrester, and arresters of the future. 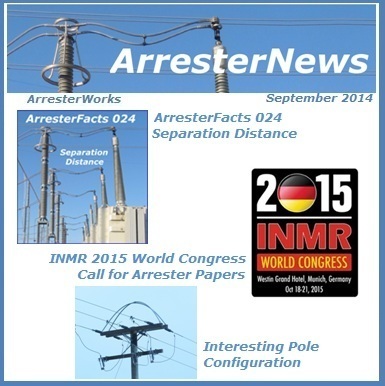 Jonathan Woodworth presented a paper entitled "Arrester 2050". The subject matter was a call to the arrester world for a paradigm shift in surge protection. 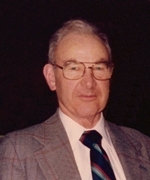 He emphasized that the introduction of polymer housed arrester in the 1980’s was the last major change in the arrester industry. Mr. Woodworth stated that he envisions arrester 2050 being lighter, greener, self-installing and much smaller than today. He continued by stating that with improved MOV characteristics, the arrester 2050 may not even resemble arresters as we know them. Although he made light of these futuristic changes, the underlying message was a serious one in that the arrester designers of the future will have to let go of the boundaries of today if they want to be the innovators of tomorrow. As of this past May, the IEC and IEEE High Voltage Surge Arrester Committees have initiated a Harmonization Task force. We will be meeting 2 times per year for the next few years with the goal of harmonizing C62.11 and IEC 60099-4. At the present time there are several sections that were written with harmonization in mind and it has worked quite well. There are about 5 or more sections in the design tests that can be unified and harmonized. Our first tasks are to identify these sections and start the process of making them as similar as possible if not identical. More info in early November on how it is going. A new concept of arrester classification and energy withstand testing is introduced: the line discharge classification is replaced by a classification based on repetitive charge transfer rating Qrs, thermal energy rating Withzz and thermal charge transfer rating Qth, respectively. The new concept clearly differentiates between impulse and thermal energy handling capability, which is reflected in the test procedures and minimum pass criteria. Thermal Energy Rating, Wth: The energy, given in kJ/kV of Ur, which may be dissipated by an arrester or arrester section in a thermal recovery test without causing a thermal runaway. Repetitive Charge Transfer Rating, Qrs: The charge, given in coulombs (C) in the form of a single event that can be transferred at least 20 times ( at time intervals that allow for cooling to ambient temperature ) through an arrester without causing mechanical failure or unacceptable electrical degradation to the MO resistors. Thermal Charge Transfer Rating, Qth: The charge, given in coulombs (C) that may be transferred through an arrester or arrester section in a thermal recovery test without causing a thermal runaway. 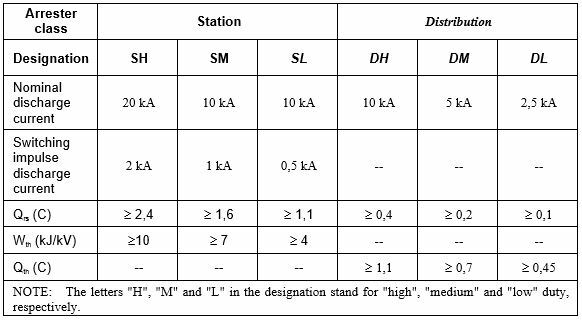 As shown in the table below, Station Class arresters will have a Qrs and Wth rating. Distribution arresters will have a Qrs and Qth rating. The newest version of the publication can be purchased at the IEC Web Store. This year's fall IEC MT4 and MT10 meetings were held in Niagara Falls Canada. Eighteen maintenance team members travelled from around the world to attend the meetings. The focus of the meets were on the next editions of IEC 60099-4, 60099-5, 60099-6 and 60099-8. All standards will be published in the next 3 years. A Technical Report that will likely have the Designation 60099-10 is also in the works and will contain all the rationale of required tests. This will be a first for the IEC and should add significant value to our work. During the months of June and July, ArresterWorks visited New Brunswick Power and Maritime Electric to present Overvoltage Protection seminars. In both seminars the participants brought real world surge protection issues to the table for discussion, enhancing the value of the seminar. 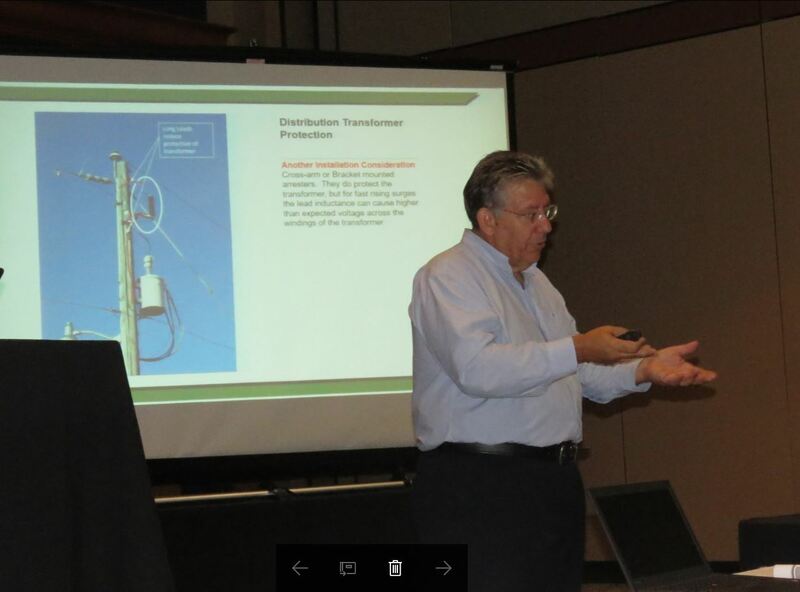 We were pleased to receive the following comment from Shelly Feltmate, Senior Engineer – Transmission Lines, at New Brunswick Power: "The ArresterWorks – Overvoltage Protection Seminar was by far one of the most informative and interesting seminars I have attended to date. By keeping the seminar extremely interactive with the attendees, the material covered was easily tailored to our experiences and/or interests as a company." Also as part of this trip we surveyed the New Brunswick and Prince Edward Island Provinces documenting and photographing the different methods of lightning protection of the power systems. 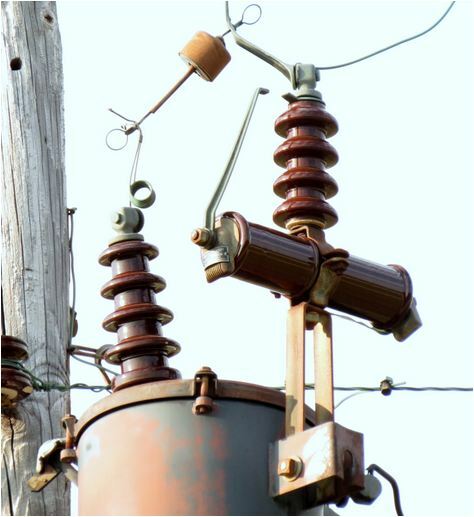 Arresters have been protecting power lines in substation and on distribution lines for more than a century. 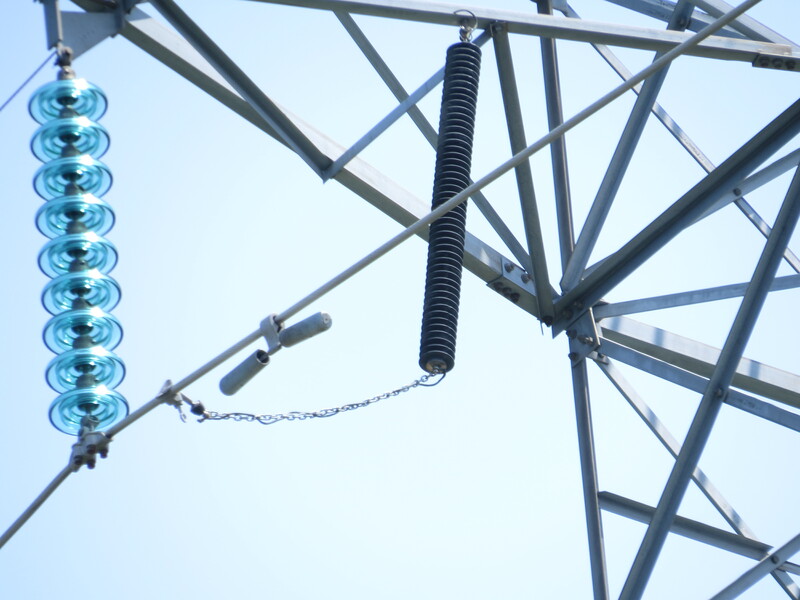 Despite this long history, it has only been in the last 20 years that arresters have begun to be used on sub-transmission and transmission lines. This relatively new application of the arrester has left many users questioning how to verify the health of the arresters they have in service. At present, there are no comprehensive guides for the maintenance of arresters on transmission lines; however, this problem will soon be resolved. 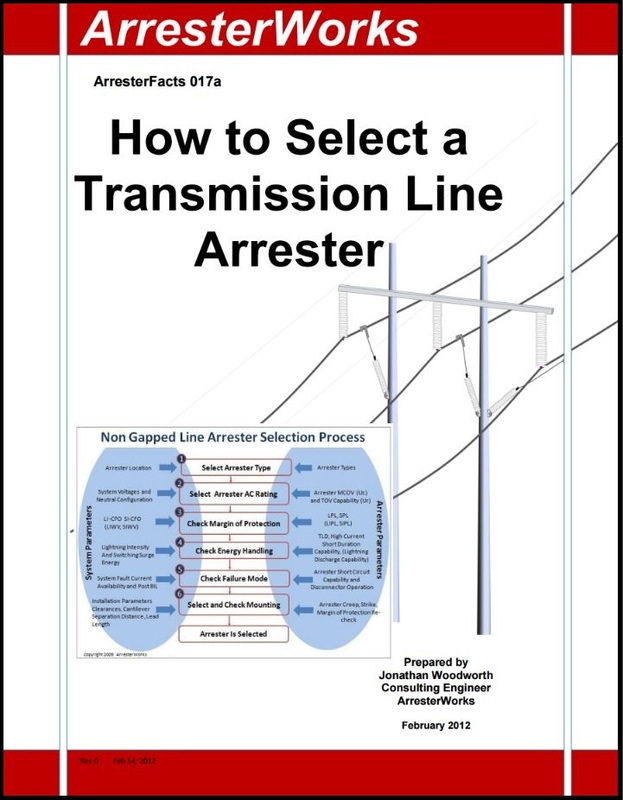 CEATI International has retained ArresterWorks to write a transmission line arrester guide that will cover both the electrical and the mechanical maintenance aspects. 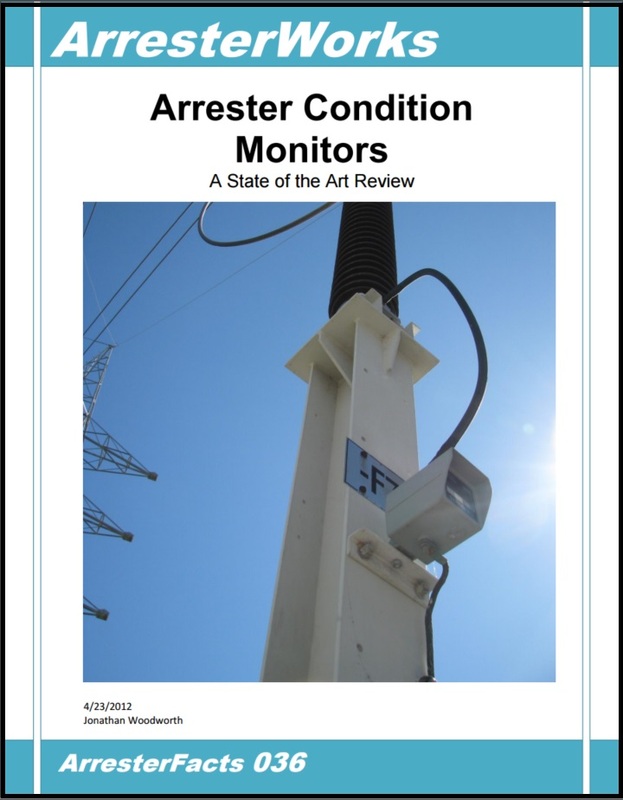 The primary objective of this project will be to produce a guide that clearly shows how to use existing arrester condition assessment tools on transmission line arresters. The guide will assist CEATI Transmission Line Asset Management group members in understanding the health and the expected remaining life of their arresters, with focus on assessment methods currently available for both Non-Gapped Line Arresters (NGLA) and Externally Gapped Line Arresters (EGLA). 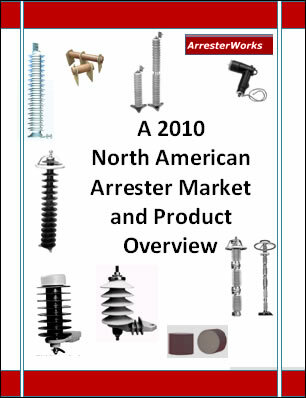 ArresterWorks granted its first arrester patent. 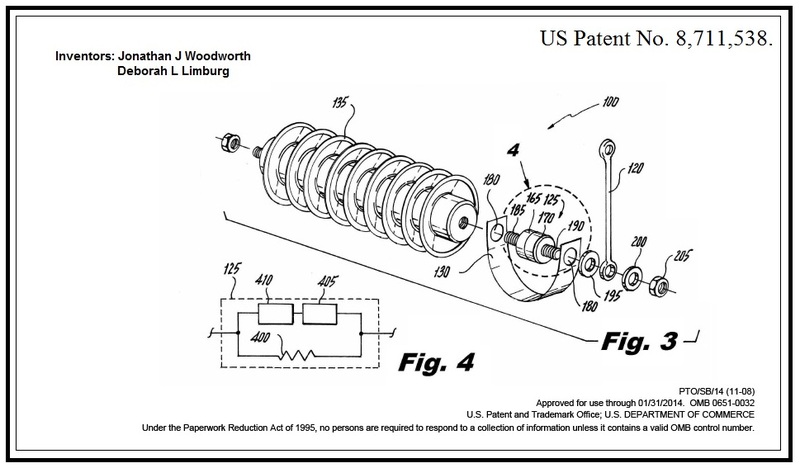 On April 29, 2014 ArresterWorks was granted US Patent No. 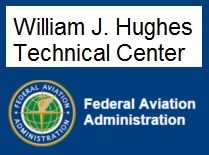 8,711,538 for an EGLA failure indicator. This device now makes the EGLA a more desirable arrester for line protection in that not only does it restore the original system BIL if the arrester should fail, but it also provides a visual indication that the arrester has failed. 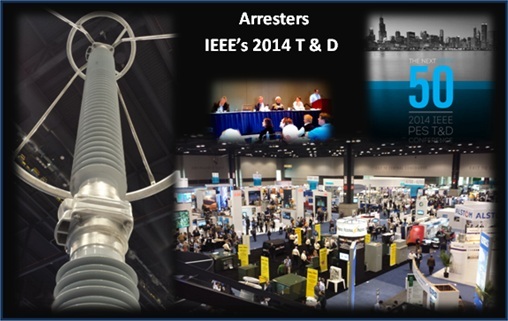 The 2014 IEEE PES T&D Conference & Exposition brought hundreds of manufactures and users together in Chicago. On display were a number of arresters in various applications. Click here to view photos from the exposition. 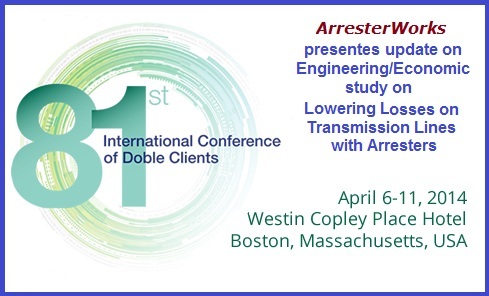 ArresterWorks' Jonathan Woodworth presented an update on engineering/economic study on lowering losses of transmission lines with arresters at the Doble International Conference in Boston, Massachusetts. Power systems experience losses in many forms and a great deal of effort is put forth to reduce these losses in many areas. However the losses related to overhead ground wires (OHGW) of transmission lines arerarely mitigated on systems below 345kV. The losses relating to OHGWs are due to inductive currents from the phase conductors onto the OHGW or sometimes called shield wires. 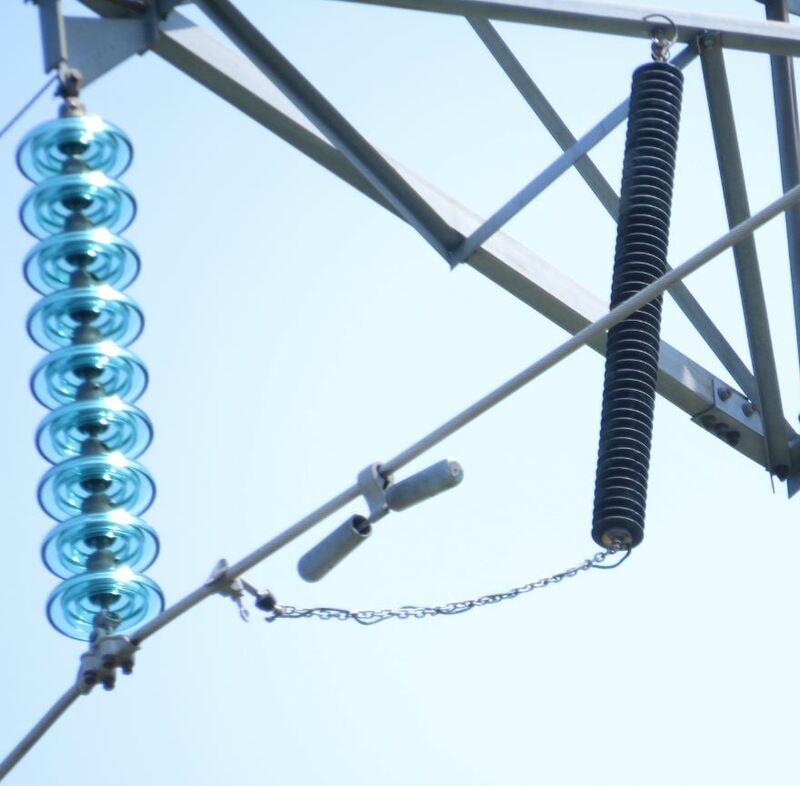 The study showed how arresters can be used in place of OHGWs on transmission lines to 100% eliminate induced losses and at the same time increase the reliability of the system. The study was funded in part by NYSERDA and was conducted in cooperation with ArresterWorks, Ceralink Inc, Rensselaer University and Cornell University. People involved in surge protection, from around the world, came to Vancouver to attended the congress. 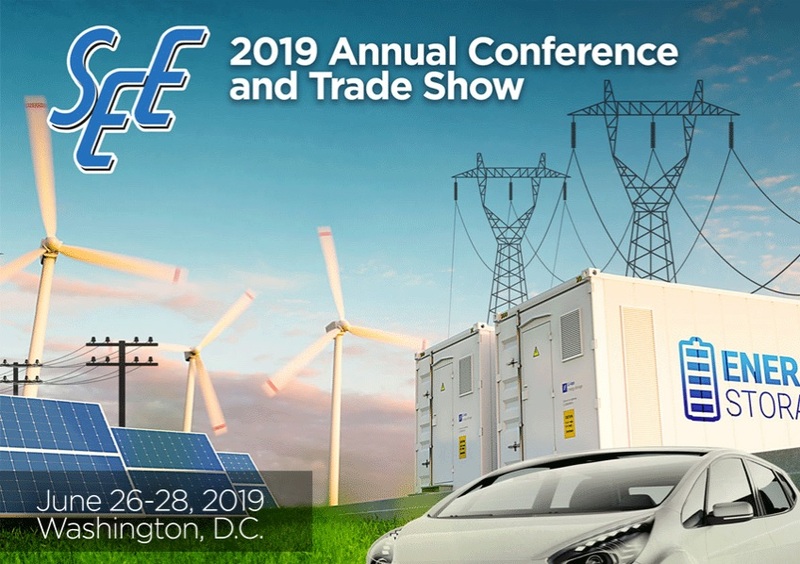 ArresterWorks' Jonathan Woodworth, session chair and co-organizer of the Congress Arrester Session, presented an engineering/economic study on lowering losses of transmission lines with arresters. The study, which is being funded in part by NYSERDA, is still in process and is being conducted in cooperation with ArresterWorks, Ceralink Inc, Rensselaer University and Cornell University. More information on the project will be available in the future as it advances. This is a quick overview of the complex subject of Insulation Coordination. It contains links to example studies and ArreterFacts 037 on the same subject. 3. 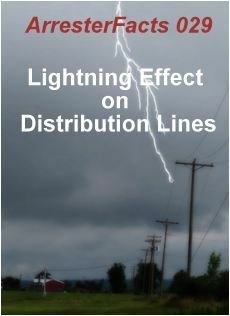 Survey: Do you experience pole damage from Lightning? 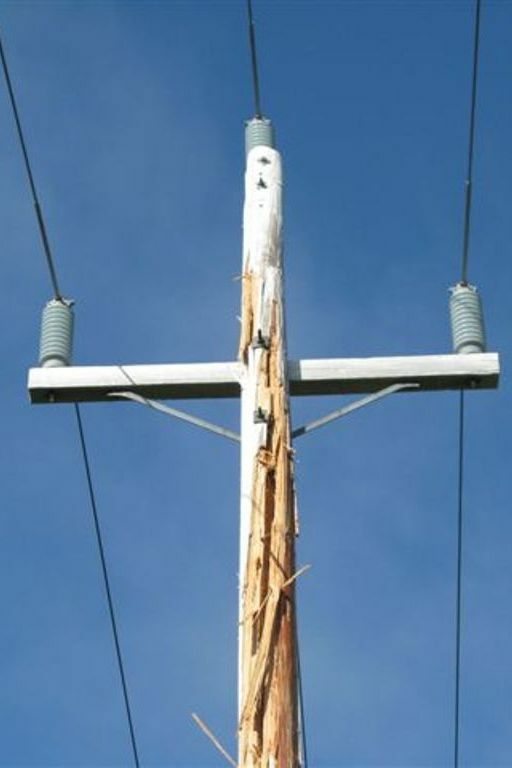 Check out these examples of pole damage. If you have experienced such damage, let us know. 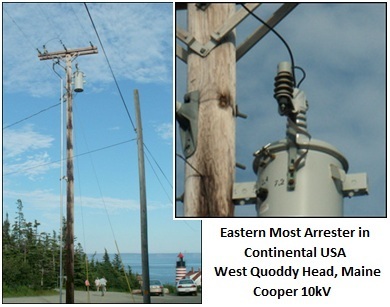 This first of the series Extrene Arrester Photos comes from West Quoddy Head, Maine, USA. Where the eastern most surge arrester in the Continental USA is located. Have a look. 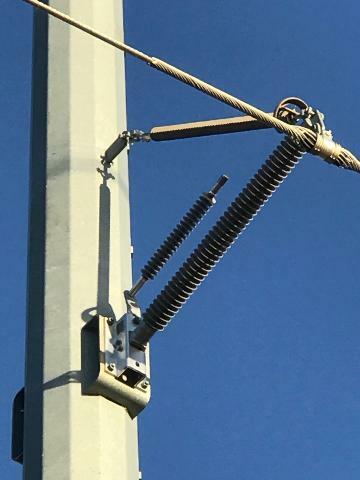 ArresterWorks has posed the question as to whether a parallel conductor is necessary for an arrester that is mounted on a transformer structure that is also grounded to the station grid. Take a look at the complete question and photo. 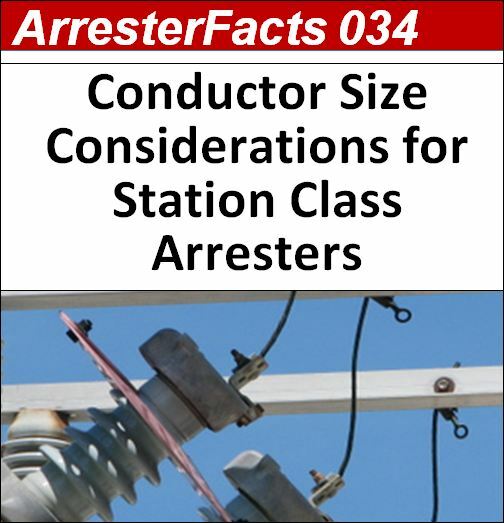 The ArresterFacts covers all aspects of Sheath voltage limiters including how to select the MCOV rating is now available. For those using ATPDraw to model Sheath Voltage Limters, there are two models that can be downloaded here. 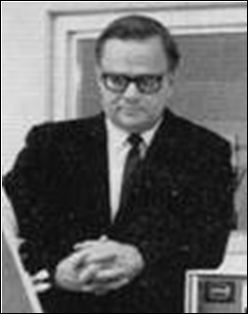 Donald E Raudabaugh is credited with initiating the "Polymer Housed Arrester Era" of surge arresters. In 1984 he applied for the first patent that lead to the introduction of the polymer housed arrester in 1986 by the Ohio Brass Company. 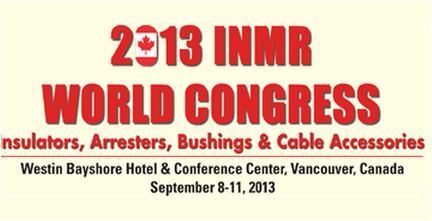 In September of next year ArresterWorks will be at the 2013 INMR World Congress and there is no doubt it will be an exciting time. If you have been involved in an interesting surge protection issue that is being or has been resolved, the world wants to hear your story. This is an opportunity of a career, to tell other like minded people what you have done and how you succeeded. We are looking for papers and presenters. If you are interested, click here and let me know. In just a few weeks, the 2012 edition of IEEE C62.11 will be published. 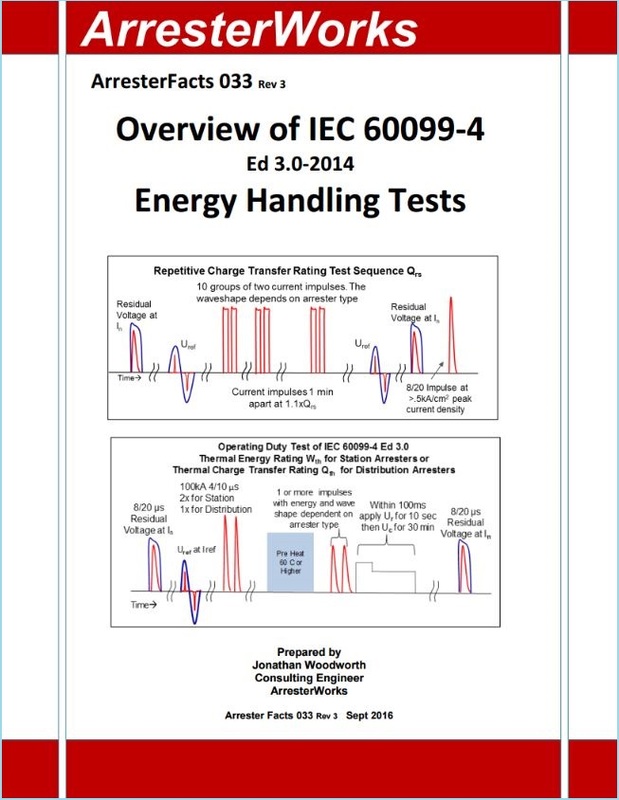 This new test standard is a dramatic improvement over the last edition in that it contains for the first time standardized energy handling tests. Calculating Value of a Distribution Arrester? 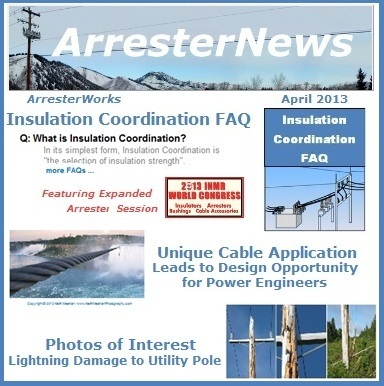 This ArresterFacts presents a new method of calculating the value of an arrester. In this evaluation, the arrester value is equal to the cost of equipment that would have to be replaced if the arrester was not present. A calculator is also on the Calculator Page that allows for a check of arresters in your area of interest. Later this year a significant change in the way arresters are rated relative to energy handling will become a standard. This ArresterFacts provides an overview of what is coming. Anyone that specifies, tests, manufacturers, or uses arresters should put reading this on their to-do-list. If you have ever wondered how often to apply arresters on a line to reduce outages, this Arresterfacts is for you. ArresterFacts 028 "Understanding TOV Behavior of Arresters"
This Hubbard AutoGap Arrester has been protecting its transformer for for perhaps 60 years. Hubbard an arrester manufacturer introduced this arrester in 1952 and proclaimed better protection because it had two vents for expulsion of the arc by-products. For the organization that needs expert help on a surge protection issue Right Now and you prefer not to initiate a long term high cost project. You just want to solve this issue and move on. Using everyday video and internet technologies, you can do it with eConsulting at ArresterWorks. Check out the eConsulting Service. If you have a group that could use a better understanding of Arresters. Taka advantage of his free offer. 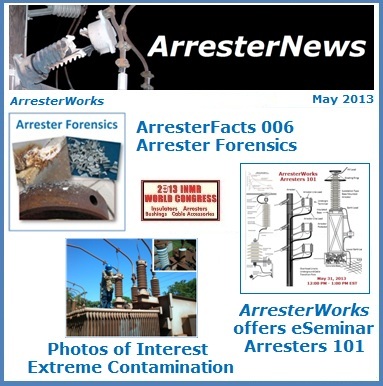 ArresterWorks will do an eSeminar on Arresters based on your schedule. Conatact us for scheduling. Remember this qualifies for CEU credits. ArresterWorks has made learning about surge protection of power system easier and more cost effective than ever. 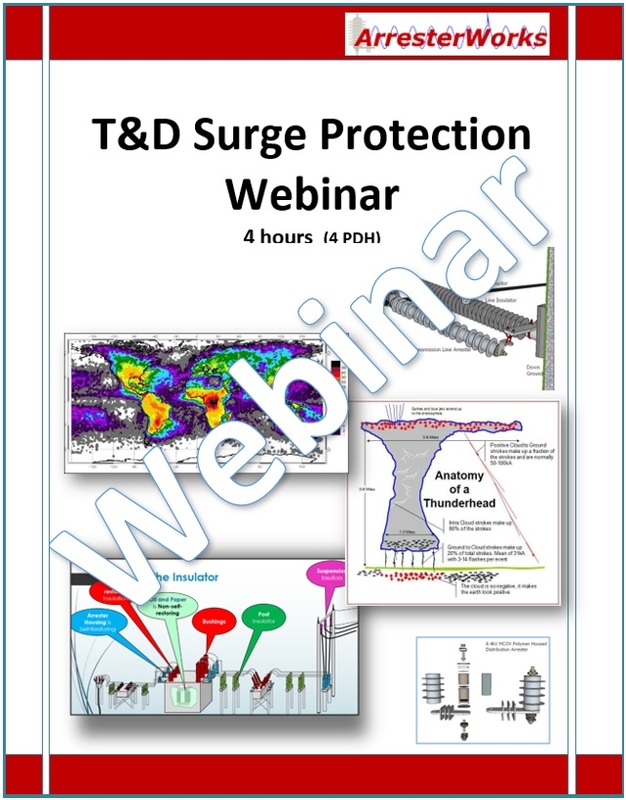 Our new eSeminar series allows participants to eliminate travel costs and wasted time, by just participating in an online dialog on many surge protection subjects. Check out the eSeminar Series. What Constitutes an Arrester Failure? Do you ever wrestle with the notion of what is a failure when it comes to arresters. This Facebook post discusses the subject a bit. Take the survey and send me the results. 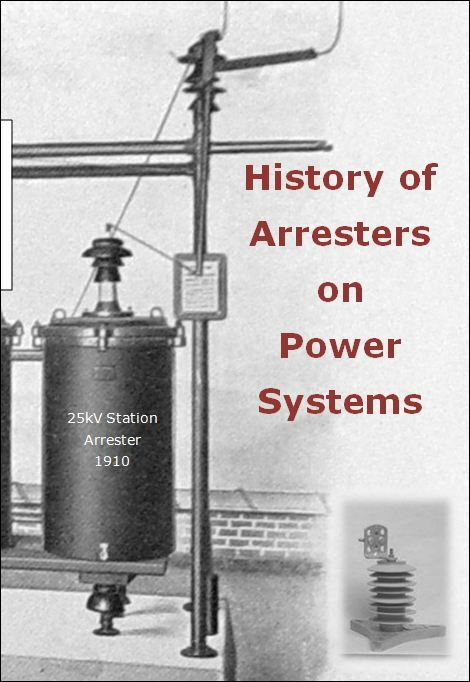 For the first time, a complete history of surge arrester used on power systems has been published. 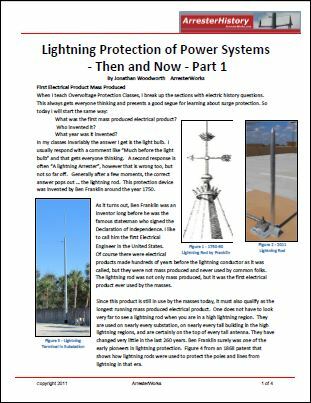 This history takes you from the first lightning protection devices to the latest polymner housed arresters of today. I was an invited speaker at the CEATI Grounding and Lightning Workshop to discuss applicaitons on Externally Gapped Line Arresters (EGLA). IEC Test Standard 60099-4 and Application Guide 60099-5 are very close to re-issue. The meetings were to discuss the latest editions. 60099-4 will publish its first CD in January. 60099-5 will publish an FDIS in January. Both documents are major upgrads to the previous documents. 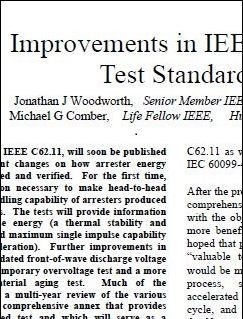 IEEE C62.11 in very close to a new edition that has major improvemements in energy handling tests and methods. This document will be ballotted in the first part of 2012 and should be published in late 2012. Completed a Lightning Study on a 138kV transmission line in Eastern US. After modeling the system in detail, it was concluded that the lines could not be flashing over due to lightning strikes to the shield. Further investigation revealed that the lines were experiencing a shield failure due to construciton over terrain sloping away from the lines. " Arresters to the rescue!!! " Published an Excel based App to generate the Voltage-Current Characteristic curve of any arrester desired. 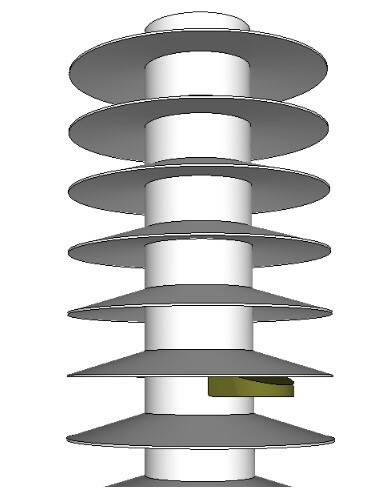 It can be used in Modeling Arresters in ATPDraw. Published a second Excel based App that assists transient study experts in modeling the tempreature rise of an arrester after energy absorption. See my latest entry in the ArresterWorks forum regarding Marx Generators and A Marx Generator ATP Model can be downloaded here. 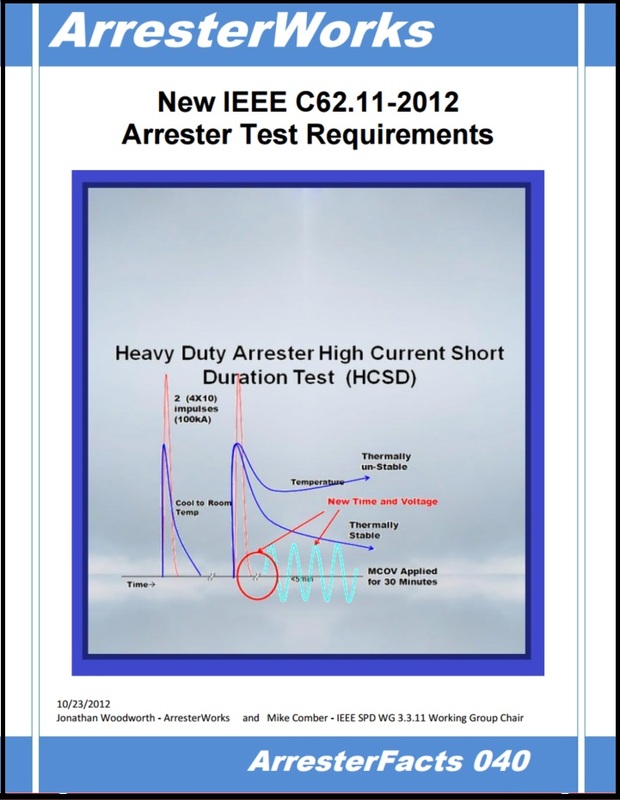 ArresterFacts 026 Measuring Discharge Voltage on Fast Rising Surges discusses for the first time, the new methods that will be specified in IEEE C62.11 when published in 2013. It also describes how the data shall be published in both IEEE and IEC literature. ArresterFacts 027 Reference Voltage is all about the important arrester characteristics Vref that is docummented almost nowhere. This is the most comprehensive treaties of this subject published todate. Attended both IEC and IEEE Arrester Standards Meetings. There is more going on in these two meetings today than there has been in a long time. Both standards writing groups are producing new test standards and will both publish in 2013. Significant changes in energy and charge transfer withstand will be included in the 2013 edtions. Chaired the Arrester Session at the 2011 INMR World Congress Seoul South Korea Ten Excellent papers were presented by distinguished industry experts. Bill Chisholm a Canadian Consultant discussed special icing issues relative to line arresters, Plamen Bunov from Siemens presented results of recent tests conducted on the externally gapped arrester, Hans Ove Kristiansen from Doble, offered an interesting overview test methods for monitoring arrester health, Frederic Malpiece of Tridelta France, provided insights into the new energy handling tests as well as offered an overview of MOV disk manufactring, Georgij Podporkin of Streamer Inc, introduced the latest model of line protection arresters based on the multi-chamber concept, Hakan Westerlund from ABB presented an intersting overview of arrester monitoring options and offered an excellent overview of third harmonic measurements, Lars Klingbiel of Siemens presented the latest design details of the ACM, the newest arrester monitor on the market. Send Email to Jonathan.Woodworth@arresterworks.com for pricing, table of contents, and delivery options. The Lightning and Grounding Committee of CEATI sponsored an excellent workshop on the same subject. ArresterWorks was the Featured workshop for the event.